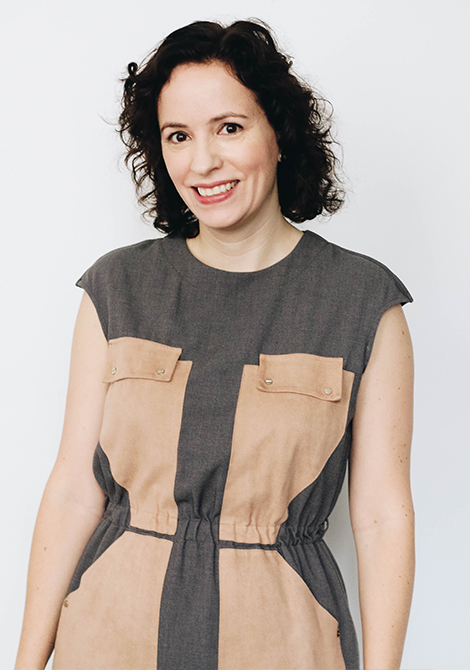 Claudia Woods leads the New York City Design Studio of ForrestPerkins. Throughout her 18-year career, Claudia has provided creative direction and assured quality project management of many prestigious hospitality and commercial projects. Her broad portfolio includes hotels, restaurants, spas, residential, office, and retail projects. Earlier in her career, Claudia was an Associate at Rockwell Group in New York, where she was responsible for hospitality projects including Maialino Trattoria at the Gramercy Park Hotel, Alain Ducasse’s Adour at The St. Regis Washington DC, and Canyon Ranch Miami Beach. Previously, Claudia was Project Manager for Yoo USA, Philippe Starck’s residential design and development firm, and Project Designer for Clodagh Design. Claudia is a very multifaceted hospitality designer with a special affinity for designing elegant and functional food and beverage venues, both within luxury hotels and as free standing outlets. Prior to rejoining ForrestPerkins, Claudia led the renovation of the iconic New York City landmark, Blue Water Grill. As Senior Designer for the Starbucks New York Studio, Claudia led the design of 400+ store locations, including High-Profile Stores and the first Reserve Store in Williamsburg, Brooklyn. She also designed CBD Provisions Brasserie Restaurant at The Joule Hotel in Dallas. During her initial tenure with the ForrestPerkins Dallas office, Claudia was the lead designer for the F&B venues and Spa at the St. Regis Amman Hotel in Amman, Jordan. A registered Architect in the state of New York, Claudia was born in Rome, Italy, and studied in Germany, where she earned a Masters Degree in Architecture from the University of Kaiserslautern.